Bookmans employees have a lot of opinions, mostly about entertainment. Being surrounded by books, music and movies day in and day out are bound to make you choose quality favorites. 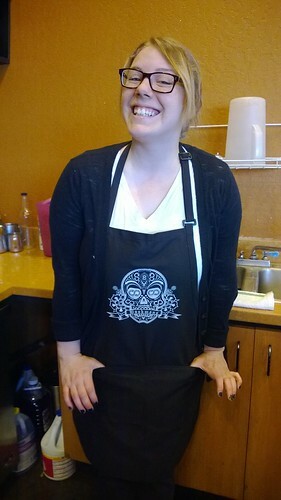 Janessa, a baristas in the Bookmans Flagstaff Cafe, has terrific taste in entertainment. I’m not just saying that because she makes delicious drinks filled with enough caffeine to make my sloth-like mornings more productive. I asked Janessa for her picks for music, movies, television and books. Thanks, Janessa, for sharing all of your favorite things — and for this cuppa. We’d love to hear from you too. What are some of your favorites?